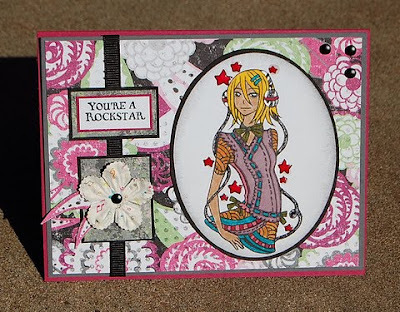 Paper Makeup Stamps: September Sneak Peek day 2... The Moody Girls intro! September Sneak Peek day 2... The Moody Girls intro! I have been waiting for this day!!!! The day that I finally get to announce that we are adding a new illustrator to our little company! Dont worry, we still have more coming from our very wonderful illustrators already on board, but I think that Cynthia is the perfect addition to our budding little stamp company! Her name is Cynthia Liu. She is from Toronto and just has this fantastic edge quality about her! 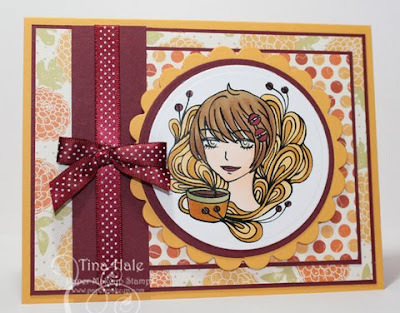 You can visit her blog to see more of her fantastic work. You can even buy her prints! Go here for print pricing and info! This new collection of girls are called The Moody Girls. Moods can range all over the place from extreme joy to deep contemplation. I think these girls capture that mysterious-ness that I think is just so beautiful! I will say... when i first showed the design team these new stamps... they all agreed they were beautiful illustrations, but many of them were terrified to color them! But let me tell you, after they got started.... they all raved about how much FUN they were to color!!!! And we have a range of coloring styles within the design team from copics to water-based dye markers, to watercolors, shimmerz, chalks, permanent markers (bics and sharpies). We really cover the ground! And we all love coloring the Moody Girls! slave labor already has her moody girls. These are all cut and ready to ship! so cute all of them, but I love the moody pumpkin girl the best! Great new images! These cards are all incredible. Gorgeous images! AWESOME Katie!!! Congrats!! These RCOK!!! I see that I am going to need them all!! Haha!! GREAT cards, by the DT!!! Hope you all have an AWESOME day! 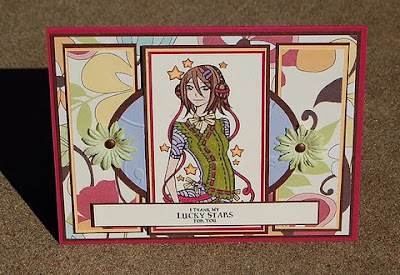 Great cards and the image is wonderful. Thanks for the chance to win one. I think they are beautiful! A little intimidating yes but beautiful! Wow! Loving the eye candy!! hm these are very interesting and would defiantly be stretching my coloring abilities. Nice addition to the wonderful paper makeup family. I love the new lineup! Awesome addition to the store. Wow these are interesting, different and fun. Love the Coffee and Pumpkin Moody girls. These are so cute. They have so much detail. Gorgeous! 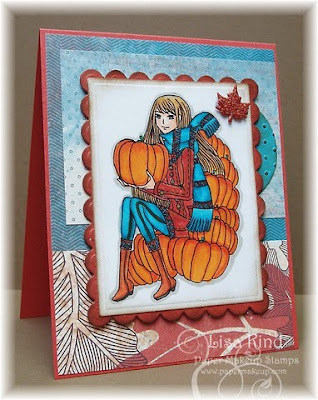 FABULOUS stamps and gorgeous cards!! What great images! And congrats to Cynthia! Katie, you have done it AGAIN! I love each and every one of these. Thank you for making me broke, LPL!!! WOW...I love them all! 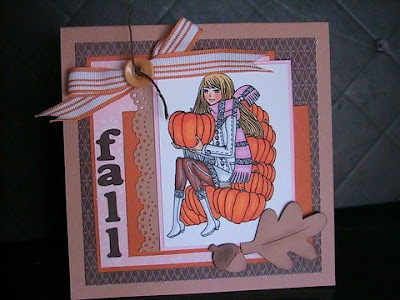 I see a new collection in my house soon LOL Fab cards ladies! Oooh, Katie!! They're gorgeous!! I want 'em ALL!! 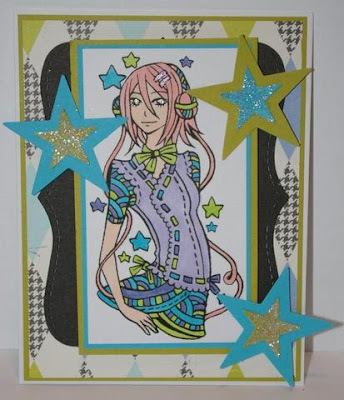 Gorgeous cards and perfect images for my newly turned teenager niece! 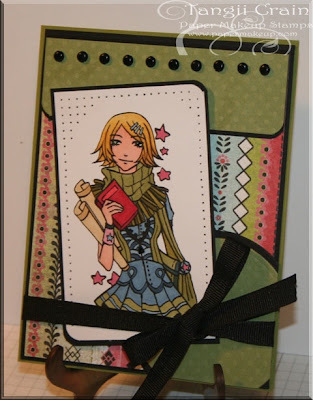 I am in awe of the selection and variety of stamps you continue to offer Katie! WoW! These are cool! I can't choose a favorite, but I think the first one I will buy will be Moody for Coffee! 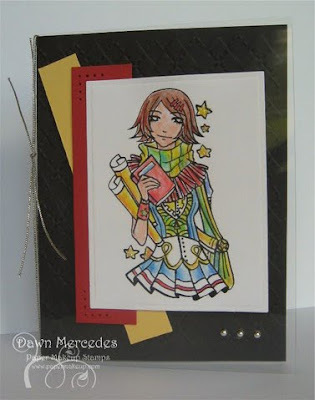 Awesome cards, DT! These stamps are wonderful! Perfect for teens/tweens! Love them all! 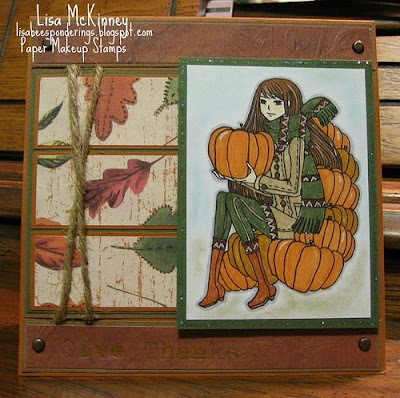 My favorite is the Pumpkin Patch!